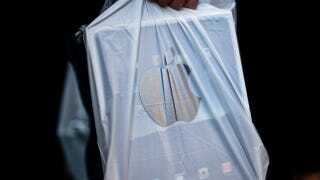 But Apple did meet that price, and the iPad isn't junk. The iPad is still the first and best-selling product of its kind. Competitors, meanwhile, are having trouble hitting that $500 sweet spot. Motorola's Xoom tablet is debuting in the United States with an $800 price tag. (To be fair, the most comparable iPad is $730 - but there's no $500 Xoom planned, and the lack of a low-end entry point will hurt Motorola.) Samsung's Galaxy Tab, with a relatively puny 7-inch screen, costs $600 without a contract. Why do you think Hewlett-Packard bought Palm to make the TouchPad? HP wanted ownership of a mobile operating system in-house to take control of its own mobile destiny and stop being so reliant on Microsoft (who, till this day, still doesn't have a credible tablet strategy). That's what it all boils down to: ecosystems and control. Competitors are struggling to match the $500 price point because they aren't as fully integrated as Apple, in terms of retail strategy, a digital content market, hardware and software engineering - everything.